It’s rare that a useful, non-annoying neologism comes around–particularly one that starts with “zombie”–however Jonny Aspen has coined one that gives a face to a particular breed of urban planning plaguing urban centers throughout the globe: zombie urbanism. The term describes the homogenizing quality that makes it look like all new urban environments look like shiny adult playgrounds (i.e. New York’s High Line and Times Square). Read Aspen in conversation with Jeremiah Moss of Jeremiah’s Vanishing New York in partial below, in full here. Jonny Aspen, Associate Professor at the Institute of Urbanism and Landscape in Oslo, Norway, coined the term “Zombie Urbanism” in 2013 to describe the way many urban environments are being designed today. I like the term, so I got in touch with Aspen and asked him about it–and how it applies to the redesigning of New York City, including the High Line, Hudson Yards, Times Square, and the new Astor Place. Q: Can you give a definition of what you call “zombie urbanism”? A: I’ve coined the concept in order to encircle what seems to be an increasingly more prevalent, and increasingly more worrying, phenomenon in contemporary urban development, namely the cliché-like way that many developers and designers talk about and deal with urban environments in general and public areas and places more specifically. On the one hand I use it as a reference to what seems to have developed into an increasingly more homogeneous discourse, globally speaking, on what is believed to be important features of the so-called “creative city.” It’s a discourse that highlights the importance of cultural institutions, state-of-the-art architecture, and well-designed public places. The concepts in use remind me of what the famous German sociologist Ulrich Beck has labeled “zombie concepts,” with reference to the social sciences. They are concepts that still are very much in use, but actually no longer fit the reality they intend to describe. As such the concepts are like the living dead, they are alive in our heads and our language, but not any longer useful for making precise propositions about the reality of the city. On the other hand I use the concept of “zombie-urbanism” as a reference to how I experience many of the urban environments that come out from such a discourse, as built environments. What we can see is a kind of staged urbanism in which there is no room for irregularity and the unexpected, a well-designed, neat, and tedious urbanism based on a simplified understanding of the urban combined with more ideal aspirations about creating “living” and “people friendly” cities. You can see it in quite many urban redevelopment projects all over the world. 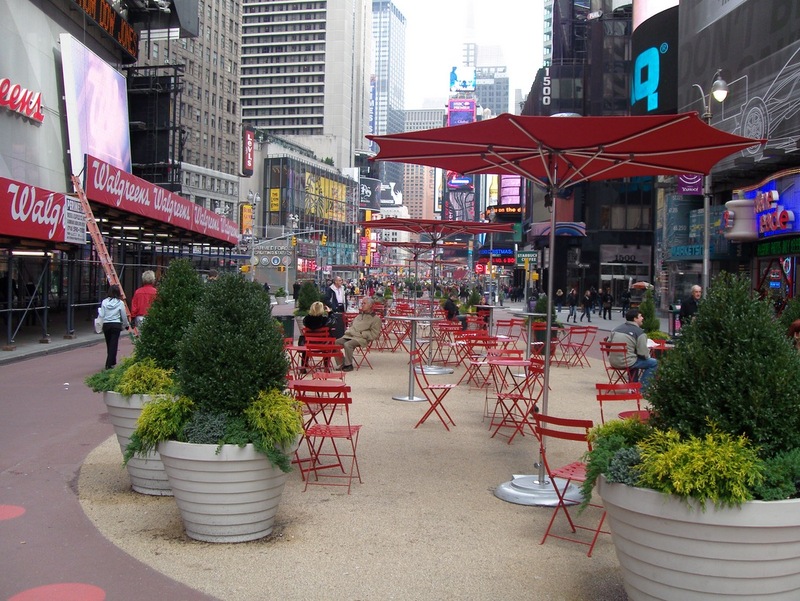 Other examples can be found in strategies for remaking public places and plazas, such as for instance the recent developments of Times Square in New York. Q: What do you think is allowing zombie urbanism to spread across western cities today? The same goes, of course, for tourism, as an increasingly more important global industry. Another important aspect, if not a cause in itself, is that quite many planners, architects, and designers seem to profit from such a development. They seem to have found themselves a new niche in designing urban tableaus of various kinds. Q: Where did you see these developments during your time in New York City? A: I saw such developments most clearly in newly built areas, and especially in ones that contain public spaces and facilities. One such development is the Hunter’s Point South Park in Queens. I am particularly thinking about the promenade along the East River. Everything here looks clean, tidy, and civilized. The promenade is also equipped with well-designed chairs and benches. So everything seems in order, everything seems to make for a lively urban area. But even though the scenery is outstanding, especially the view towards Manhattan, the whole area feels dull and boring. This is what I mean by zombie urbanism. Everything looks nice and urban, but in terms of social life, it’s rather sterile and dead. A similar example can be found a bit further down the river, on the Manhattan side–the East River Waterfront Esplanade, especially the new Pier 15 that opened in 2011. The whole development is imbued with a well-meant rhetoric of making the waterfront accessible for all people, improving qualities of life, sustainability, and community programming. But again, the end result seems rather lackluster and limited. My impression is that most of the esplanade primarily is made to attract conventional recreational interest of tourists and middle-class groups that now seem to have taken over most of Manhattan. Much of what’s here said also goes for the High Line and the Times Square redevelopment, though those stories probably are a bit more complex. Besides such examples, the most obvious features of what I call zombie urbanism can be seen in many plans and prospects for future buildings and developments, especially when it comes to visualizing all the splendid qualities that the project allegedly will bring to the area when completed. Visualizations of public space qualities seem to have become increasingly important in this respect. In this way planners and developers deliberately use public space qualities as a way of both legitimizing and branding a future project. By highlighting all the fantastic urban qualities a development will bring to the neighborhood or to the city as such, any objections and criticisms that people might have towards the project are also curbed. Because who could really be against the planning of a new public space or a playground? This has become a global trend. Just take a look at the plans for the new development at South Street Seaport or Hudson Yards in Manhattan.